Courtesy of Bliss Real Estate LLC. PRICE IMPROVEMENT ~ COME SEE AT OUR OPEN HOUSE THIS SUNDAY 3/31 FROM 1-3PM !! This STUNNING, custom home nestled in one of Fort Mill’s most desirable communities! Nothing short of fabulous from the extraordinary light fixtures to upgraded finishes this home looks like a picture from RESTORATION HARDWARE! CHEF’s KITCHEN leaves no detail untouched between Subzero/Wolf APPLIANCES, cedar columns, CHAMONIX granite, SS FARM SINK & easy flow into KEEPING ROOM w/gas fireplace. Gorgeous 2 story family enhanced by wall of windows. MAIN LEVEL MASTER. UPSTAIRS you will find secondary BRs, one large enough to be 2nd master, JACK N JILL bathroom, FLEX space. TOO MANY UPGRADES TO LIST: Custom Maghony front doors ,new hardwood floors & carpet, 2 wood blinds, stamped concrete patio. OUTSIDE: trees surround one acre lot & create perfect setting for possible POOL. Home is meticulously cared for w/newer roof, sealed/water proofed crawl, 3 car gar w/acid stained floor. Please, send me more information on this property: MLS# 3472843 – $645,000 – 5041 Crofton Drive, Fort Mill, SC 29715. 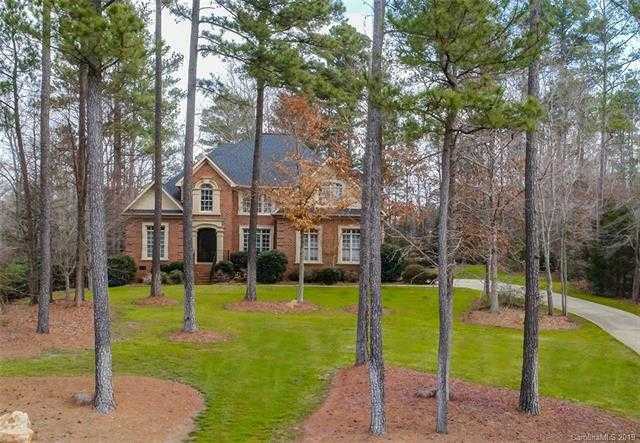 I would like to schedule a private showing for this property: MLS# 3472843 – $645,000 – 5041 Crofton Drive, Fort Mill, SC 29715.